We’ve been to Knott’s Berry Farm a number of times now, but we always fight traffic to drive up on the weekend and deal with lines and crowds. It stresses us rather than creating an amazing day with lasting memories. 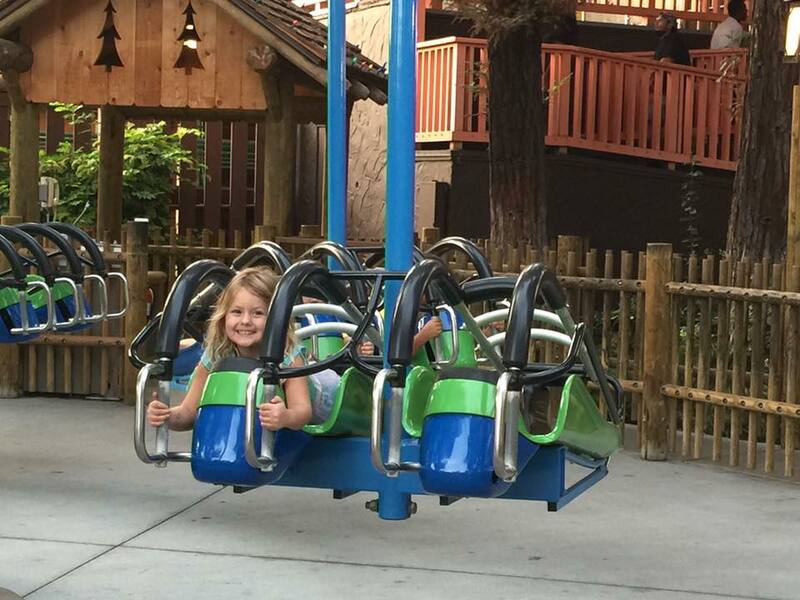 We wanted to experience Knott’s in a bucket list way with minimal guests in the park, minimal hassle to get there, and maximum fun all around. 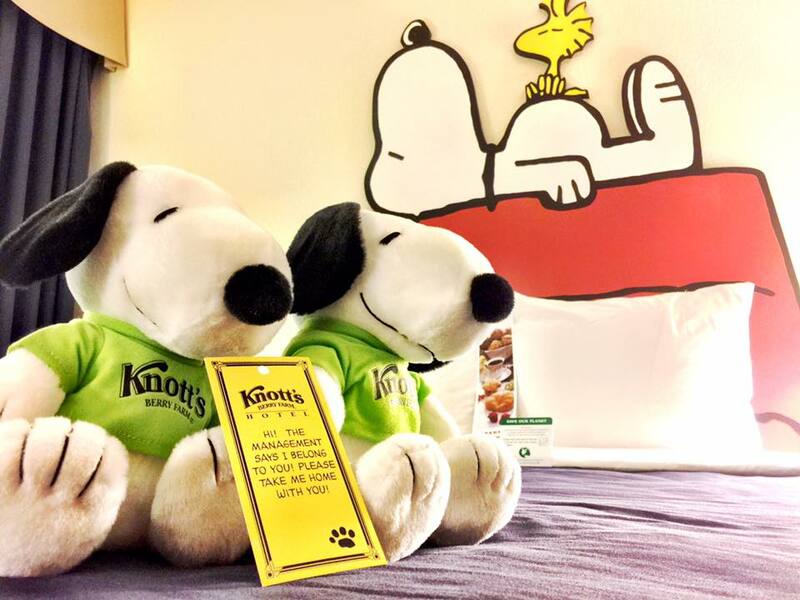 We planned the perfect Knott’s day including an over night stay at Knott’s Berry Farm Hotel, dining at the best restaurants, and a visit during the slowest day of the week, Monday. 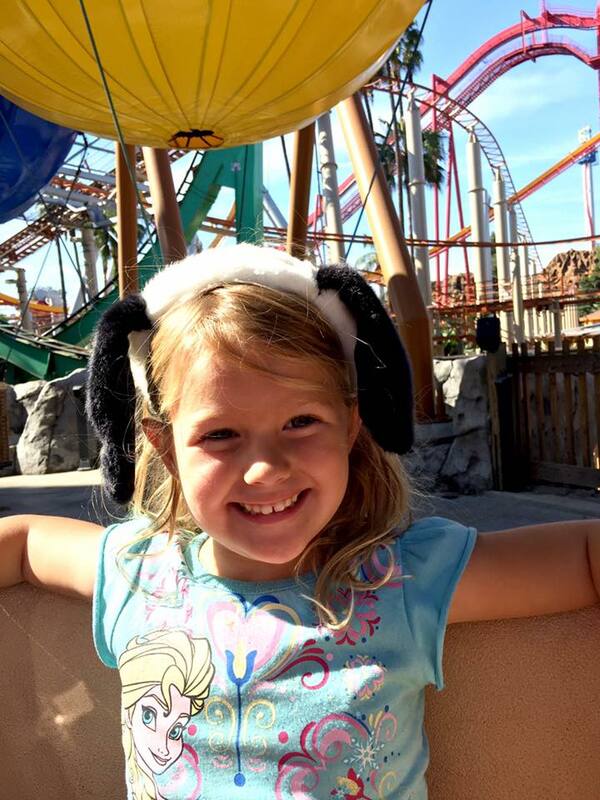 It paid off tenfold and we had the best day at Knott’s Berry Farm yet. We arrived yesterday and settled in to the Knott’s Berry Farm Hotel. 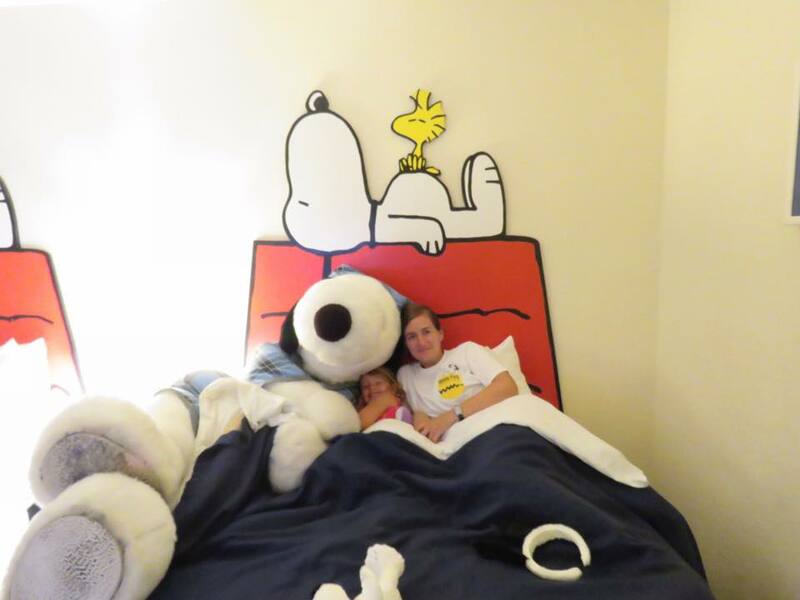 Waiting for us in the Snoopy Suite was a Snoopy pal and adorable decorations, including a Snoopy headboard and matching wall art. At bedtime, Snoopy arrived to tuck Athena into bed. She already felt like it was her birthday and we hadn’t even entered the park yet. We walked over to the park for the opening at 10 am. It was only around the corner from the hotel and a wide path led the way. When we entered the park, it felt like I was visiting a totally different place from the over-crowded park I’d visited the week before for Knott’s Scary Farm. Front of the line passes weren’t needed and Snoopy characters waited at the gate to great us. Athena was hugging Linus within seconds and she was already grinning from ear to ear. 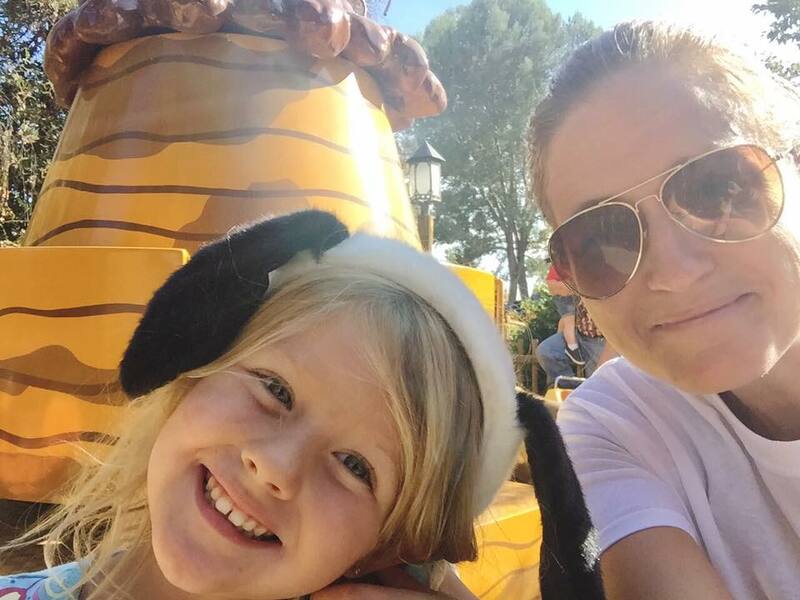 There are more than 30 rides and attractions for children and their parents at Knott’s but we never thought we’d have enough time to experience them all. Athena raced in stock cars, flew planes, drove a bus, cruised in her very own 18-wheeler, or enjoyed countless other wondrous thrills. 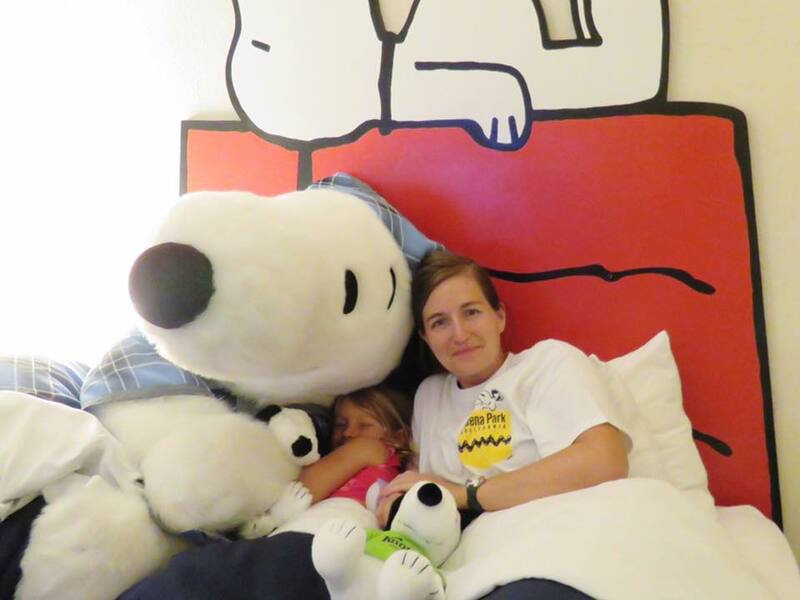 We started out at Camp Snoopy and Athena said her favorite ride was Woodstock’s Airmail, but as the day progressed, she became a little more adventurous. The lines were so small at the park that we could enjoy our favorite rides multiple times. 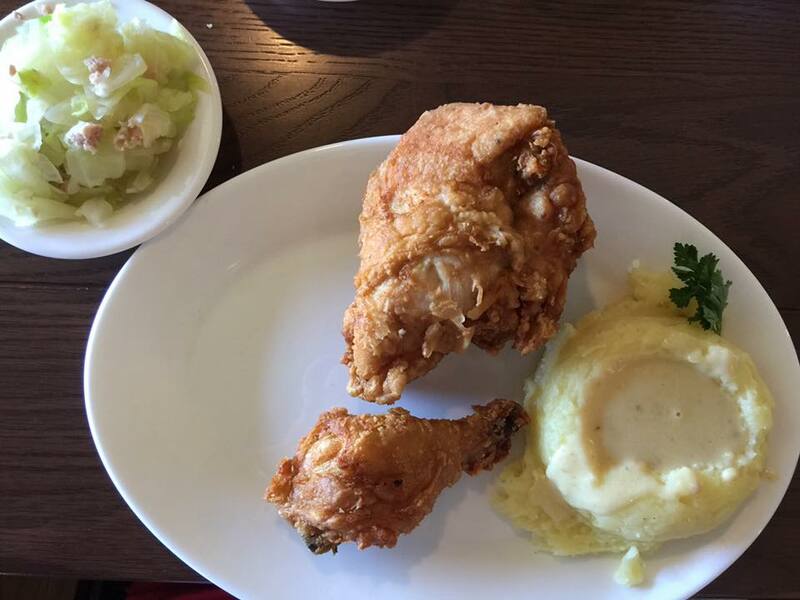 We left the park briefly for Mrs. Knott’s Chicken Dinner Restaurant and enjoyed her famous fried chicken with all the fixins. It’s located along the strip outside of Knott’s Berry Farm so we didn’t have far to go before returning to the park. When Athena finally tried the Linus Launcher, she didn’t want to get off. It was one of my favorite rides as well so we stayed on six times in a row before heading back to the hotel. How crazy is it that we didn’t have to wait once and we could ride the Linus Launcher that many times back to back? I was totally in love with the park. It was like attending during a media day and having the whole park to ourselves with kids sprinkled in for laughed and background noise. 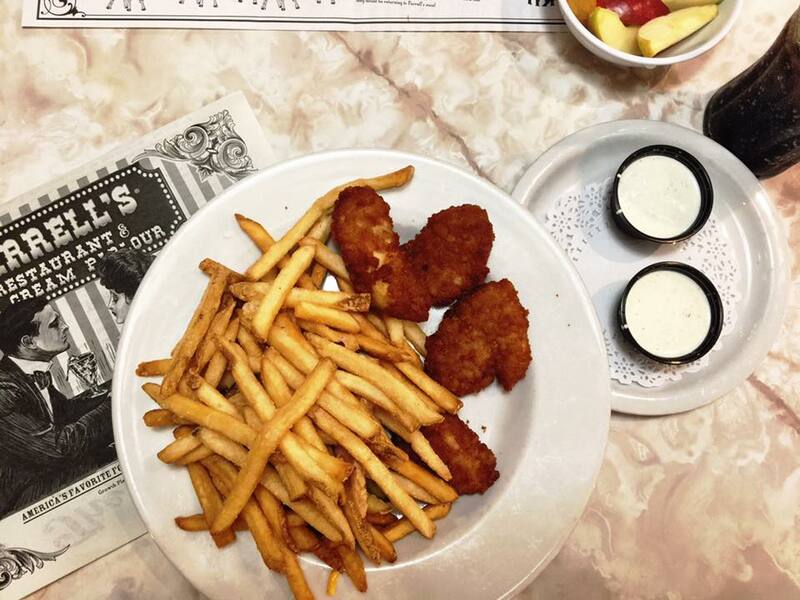 As if our day wasn’t bucket list worthy already, we dined at Farrell’s Ice Cream Parlour for one last treat with a cherry on top. I had the bizarre combination of boneless chicken breast tenders hand-battered with waffle cone pieces. It was a scrumptious mixture that was like eating part of my dessert for dinner. 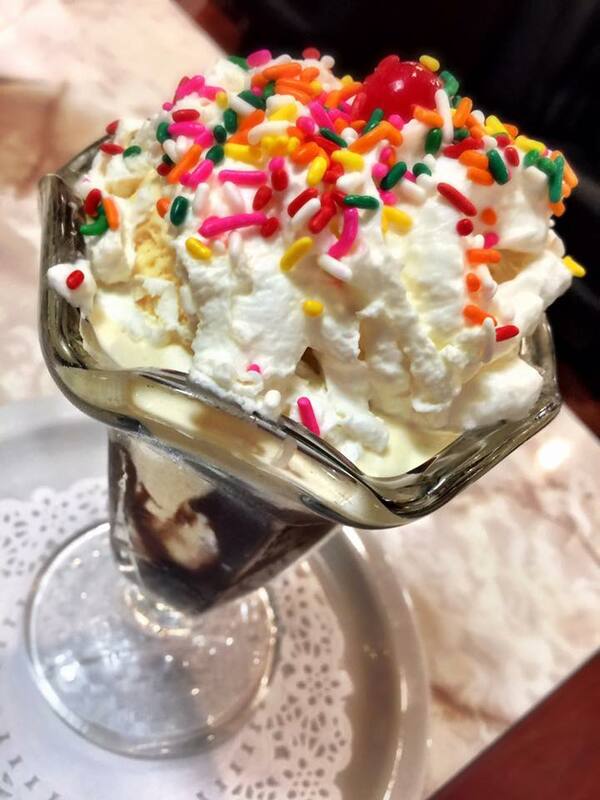 We ended our dinner with a Butterscotch Sundae topped with colorful sprinkles, and we enjoyed it as the staff sang a special song for us. I felt like I was having my Last Supper because everything was so perfectly prepared just the way I like it. Snoopy tucked us in as if we were in a dream and I shut off the lights for Athena to sleep. The day had been magical. It’s rare to have such perfection in a day where nothing goes wrong and everything was even greater than you had envisioned. 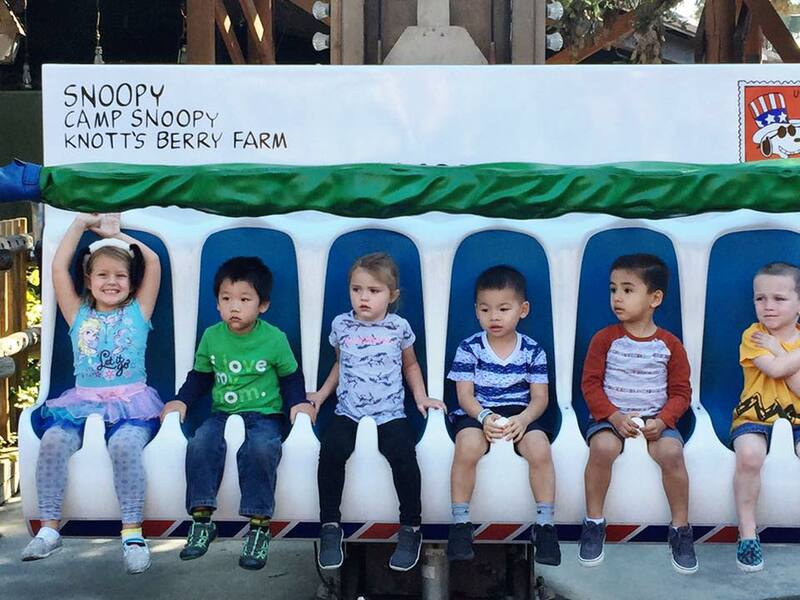 Knott’s Berry Farm can be two very different experiences. You can go and wait in long lines with too many other annoyed guests, pay for parking, and worry about finding a place off-site to eat OR you can soak up the local experiences and visit on a day where you feel like the park has been reserved specially for you. Even if it means I visit the park once a year rather than multiple times, I’d choose this way again and again. 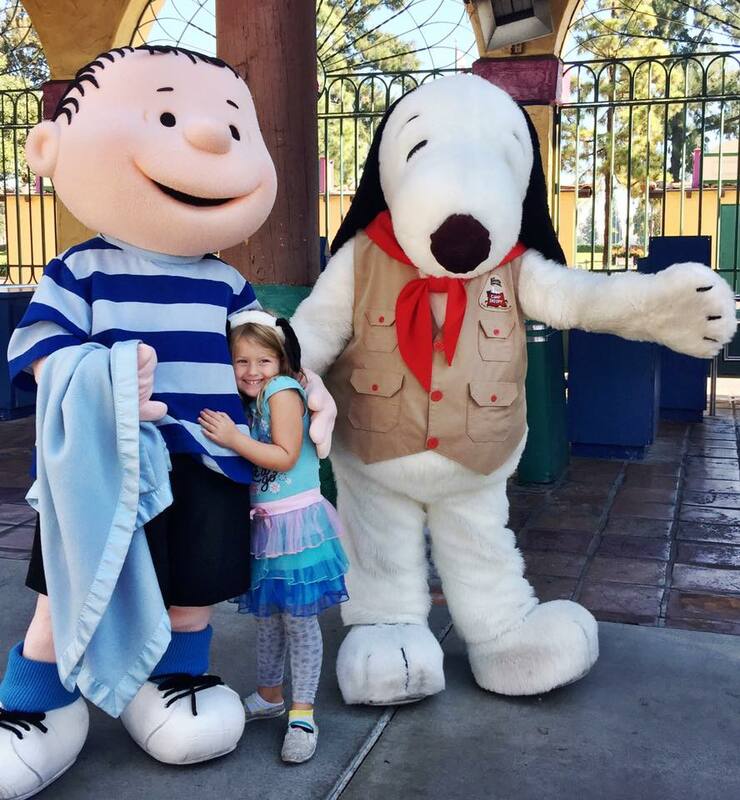 Athena and I had the ultimate bucket list day at Knott’s Berry Farm and we created countless memories that will last a lifetime. 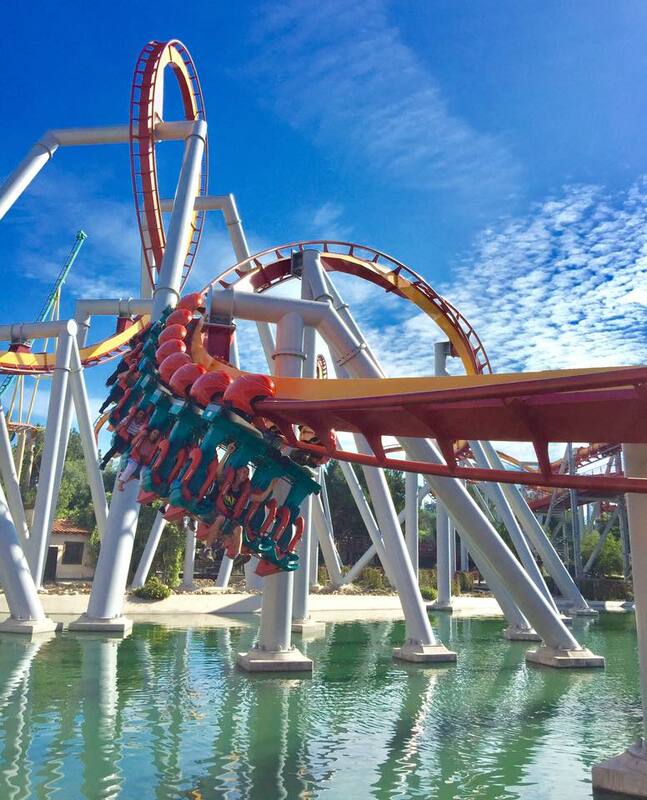 This entry was posted in California, California Entertainment, California Getaways, Family, Family Travel, Travel, USA and tagged amusement park, Buena Park, California, Family, Knott's Berry Farm, travel, USA by lesleycarter. Bookmark the permalink. That sure looks like a lot of fun. So glad you were able to go on a weekday and have so much fun without the crowds. A way different park that what I grew up with. We’ve never been! I would love to take my kids 🙂 Thanks for the pictures. Athena has a very smart mom! Thanks for the insider tip, Lesley. Visit on Monday.